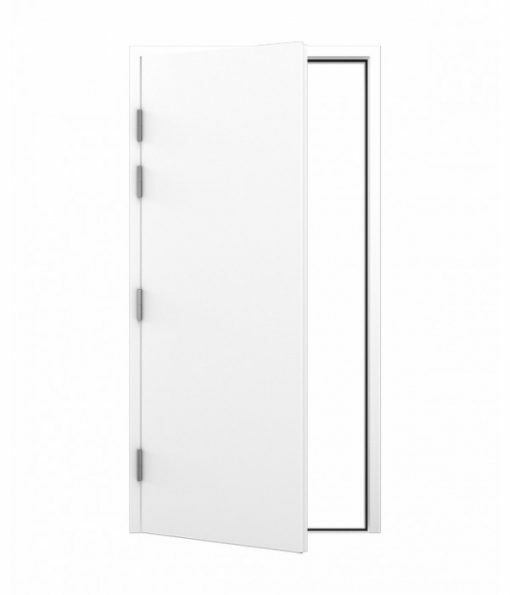 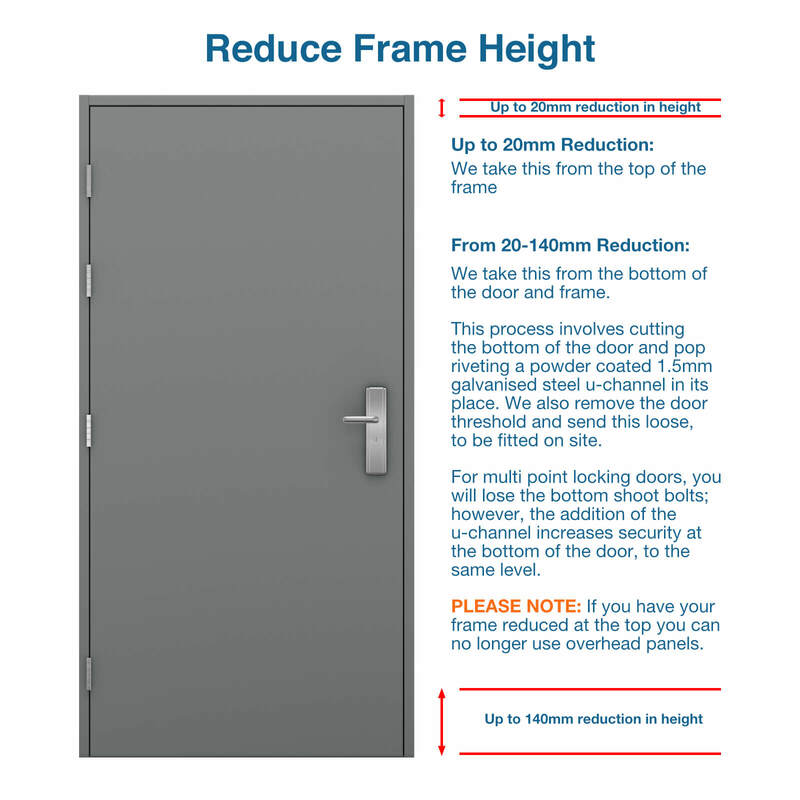 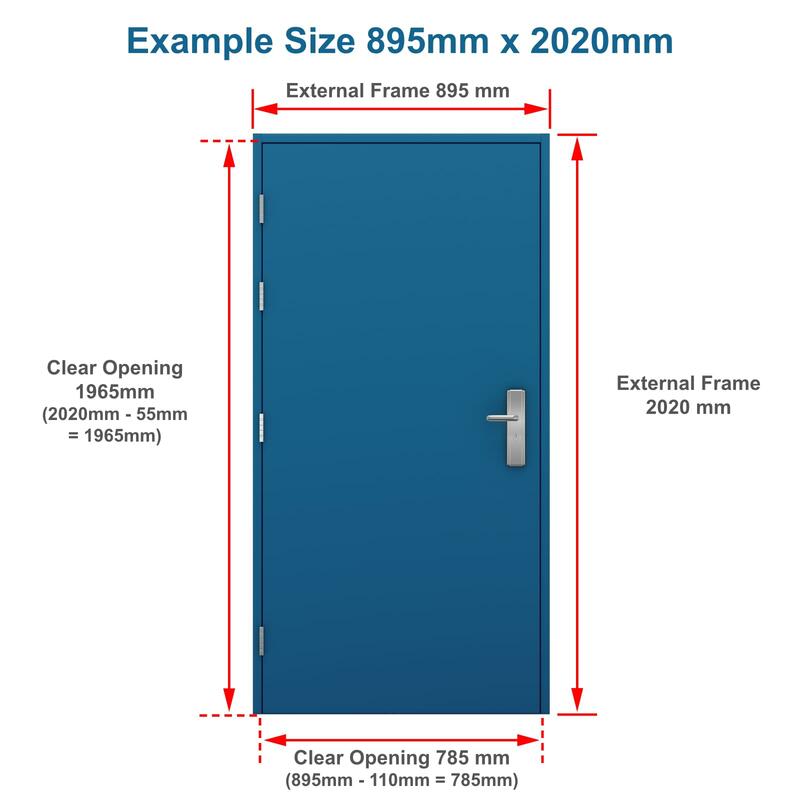 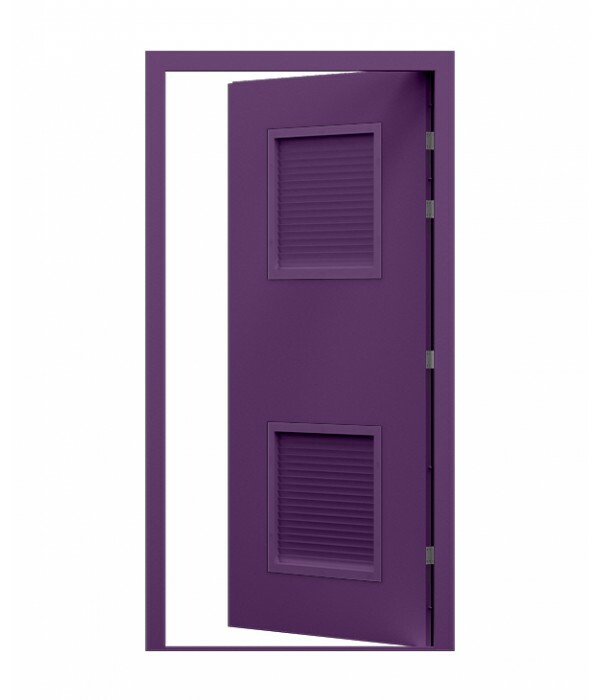 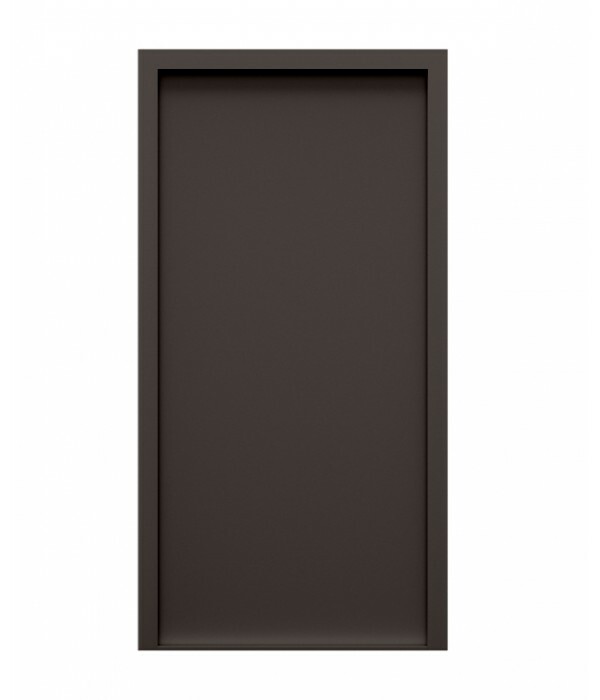 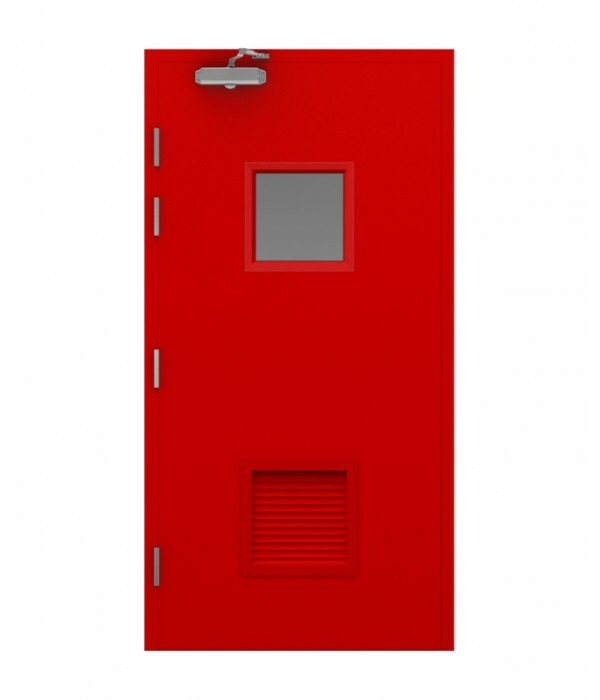 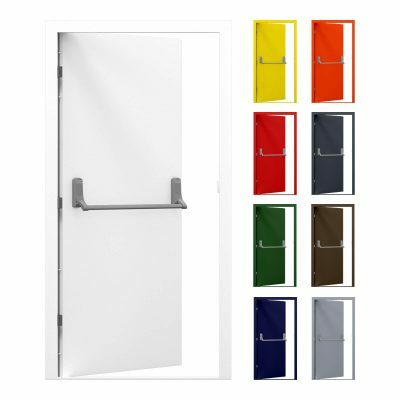 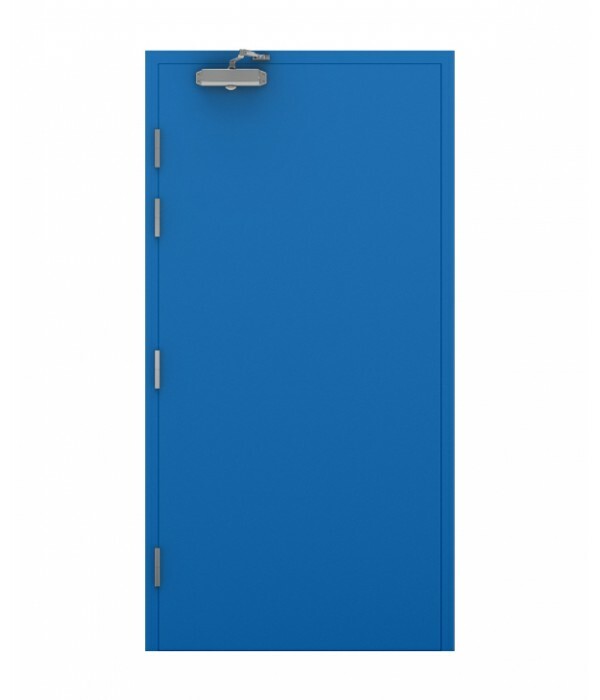 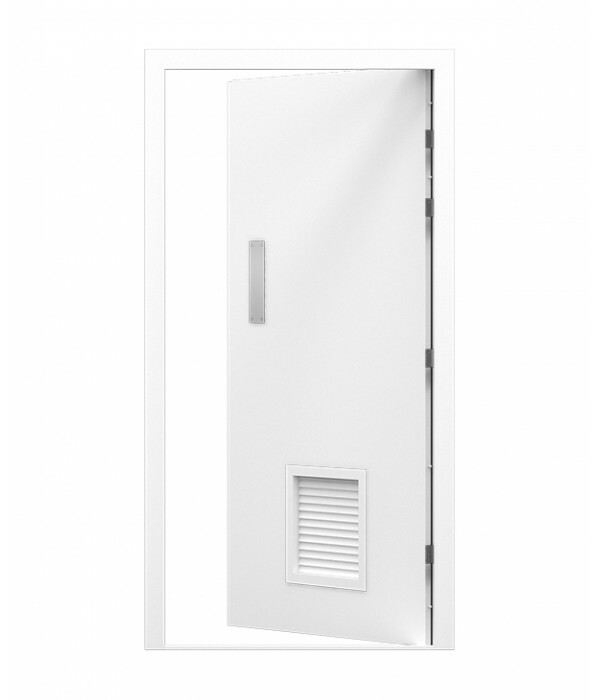 Our Blank Steel Door offers you flexibility with your door installation. 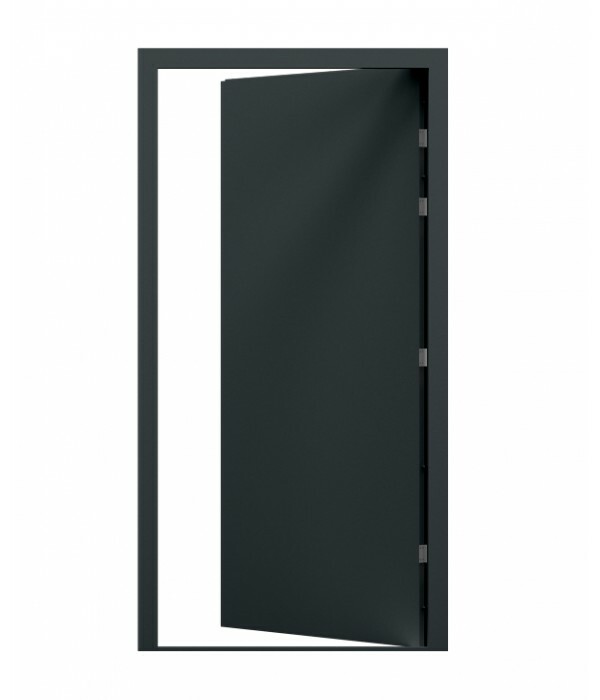 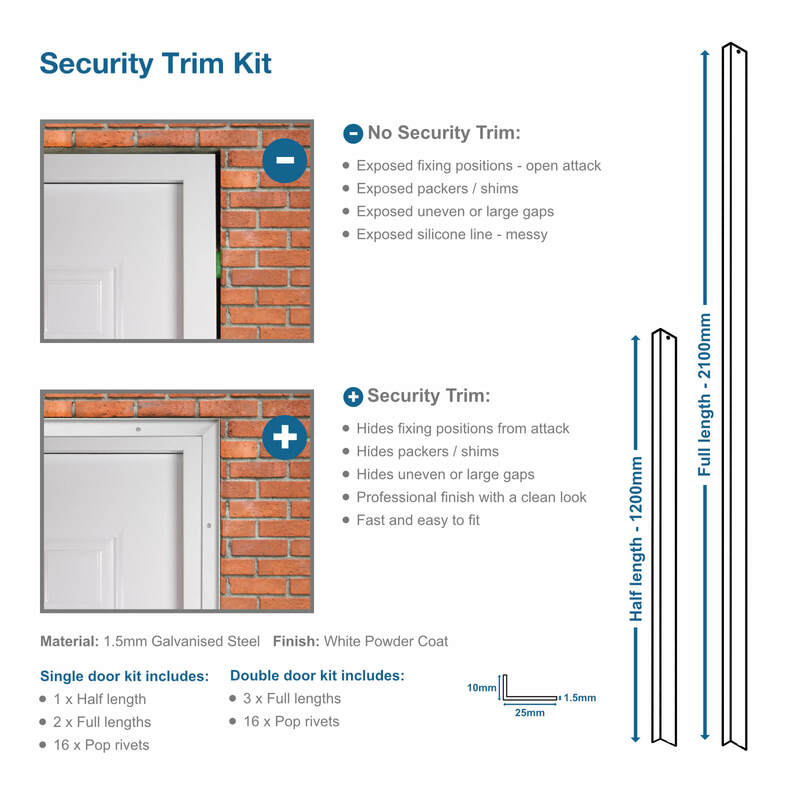 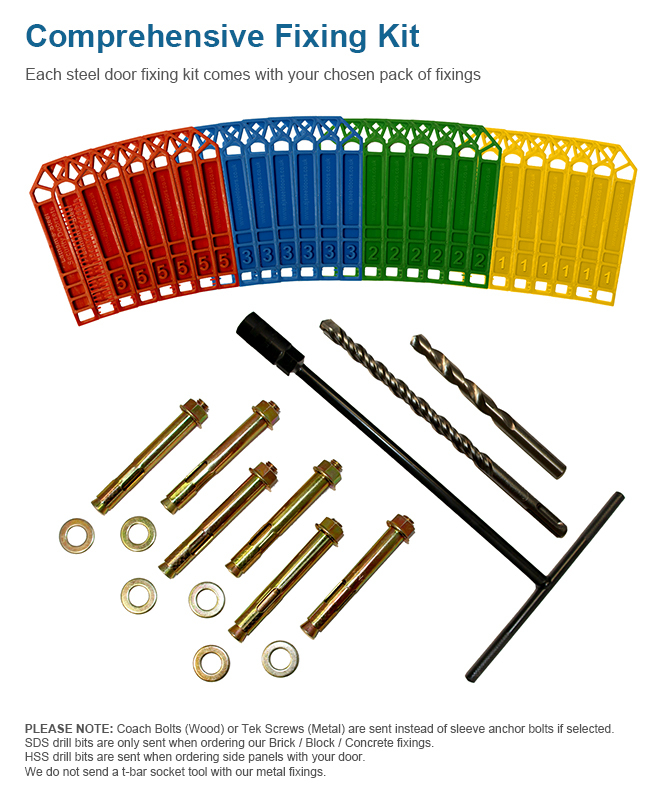 You will receive a heavy duty steel security door pre-hung in a steel frame on 4 hinges. 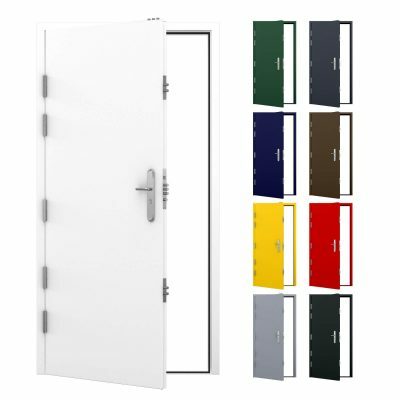 You can fit your own locking or latching furniture which can be surface mounted, whether it be panic furniture, a night latch, magnetic locks, pull handles etc. 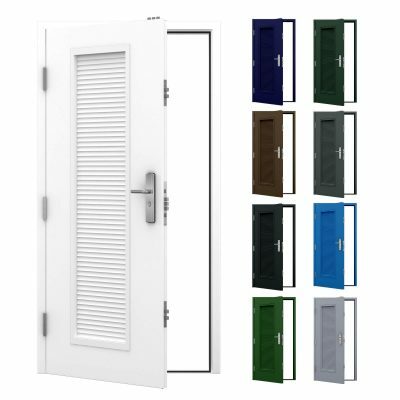 Our Blank Steel Door is a great option if you want to fit your own locking or latching furniture such as panic furniture, a night latch, magnetic locks or pull handles. 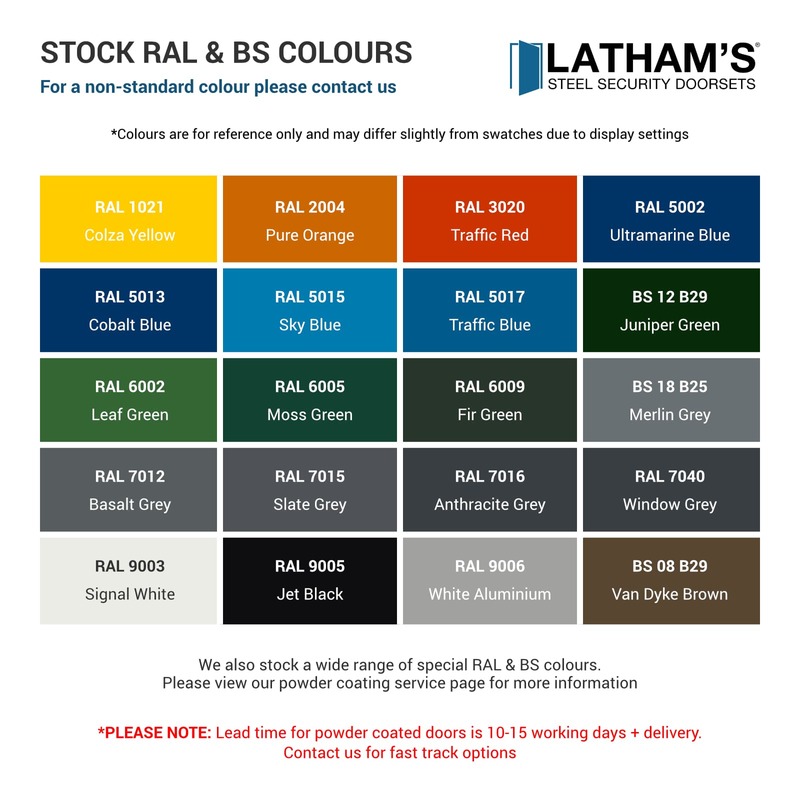 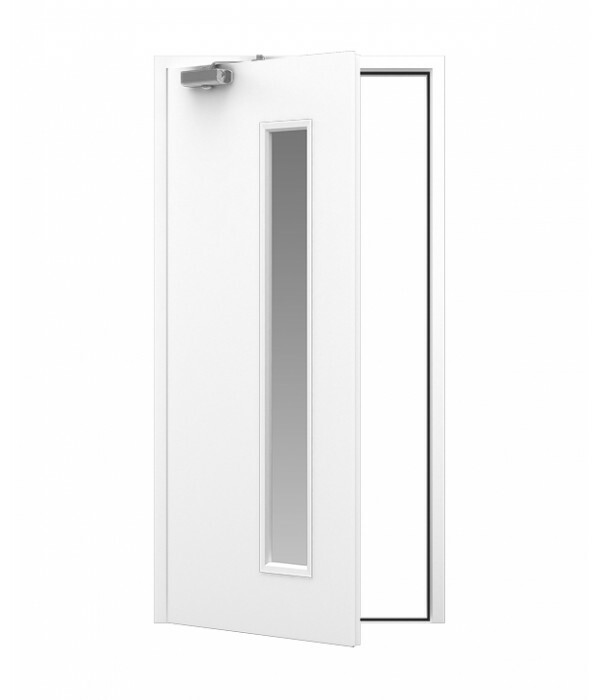 As with all Latham’s steel doors, this door comes powder coated in white (RAL 9003) but can be customised to match the door and frame to your surroundings. 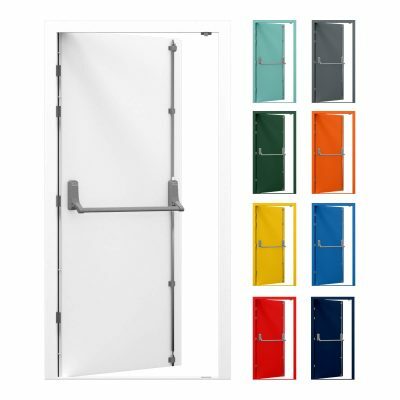 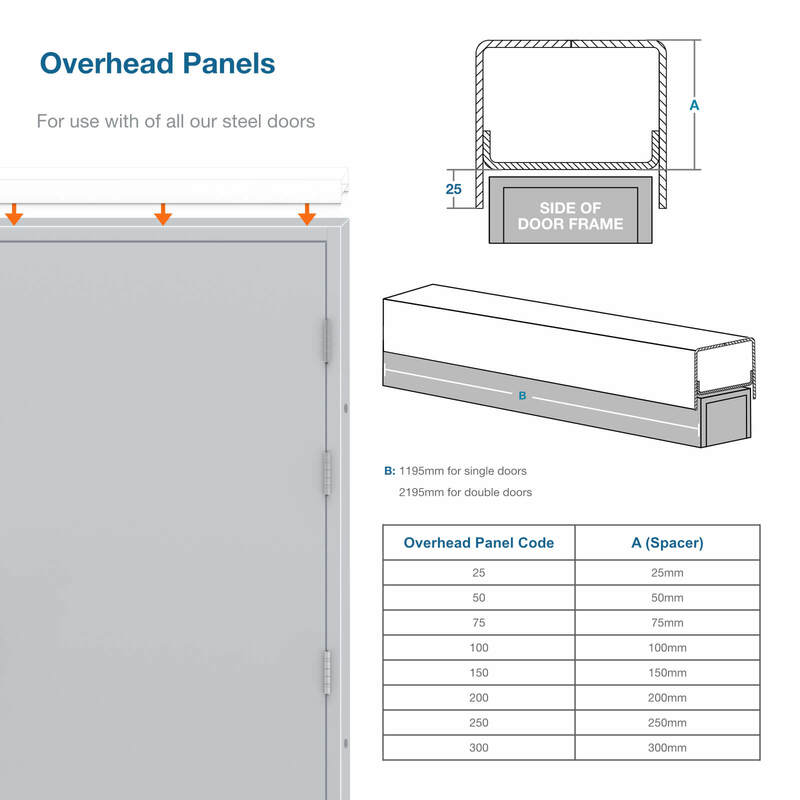 Our Blank Steel Door comes pre-hung in a steel frame on 4 stainless steel hinges, with 4 dog bolts securing the leaf on the hinge side. 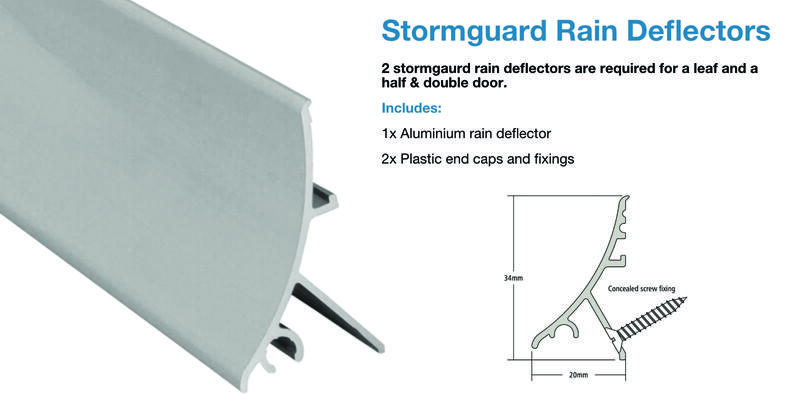 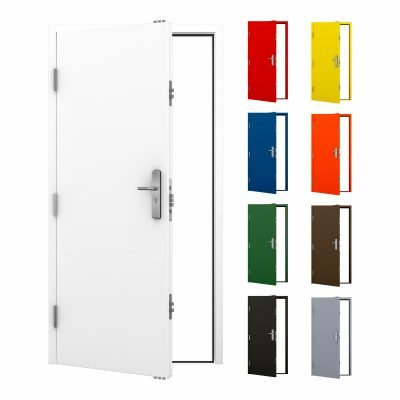 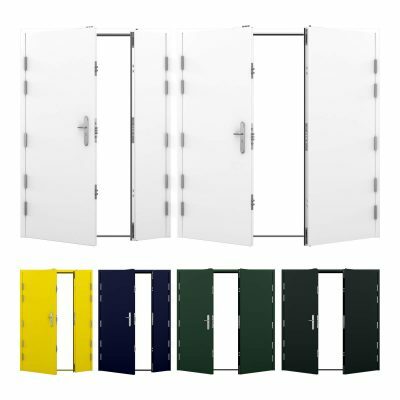 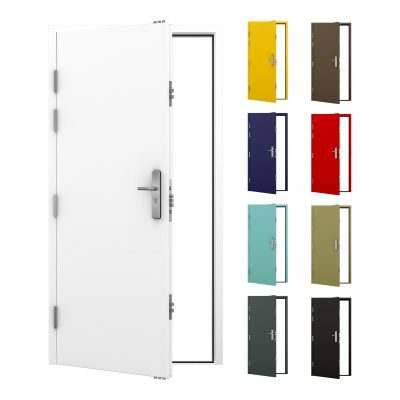 Our doors are powder coated white (RAL 9003) and are fitted with Weather and Draught proof seals as standard. 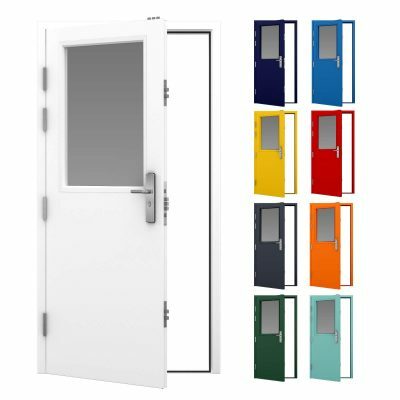 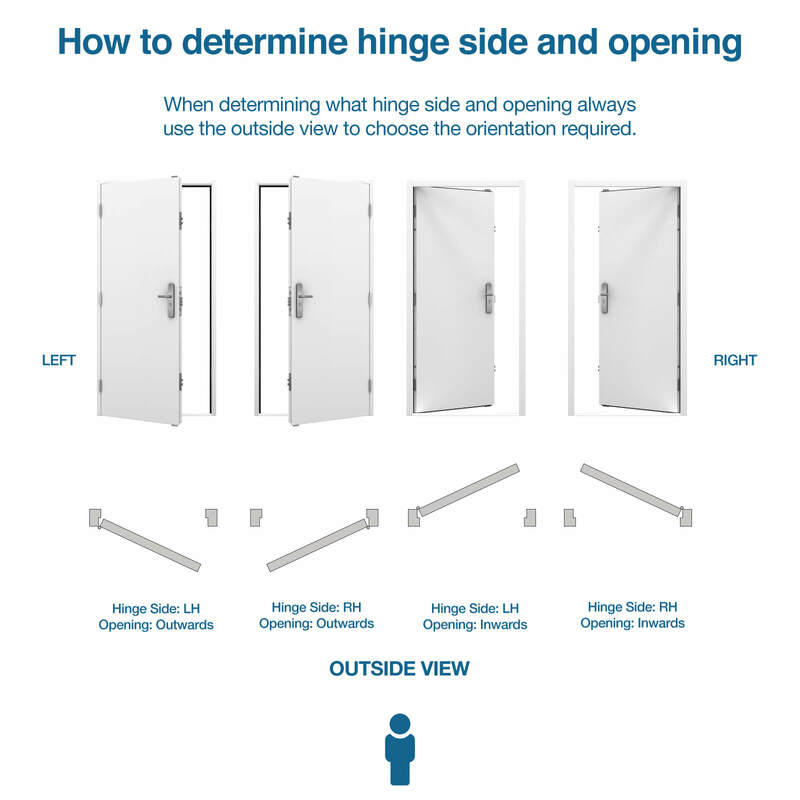 This means our doors last a long time and can be used both internally and externally. 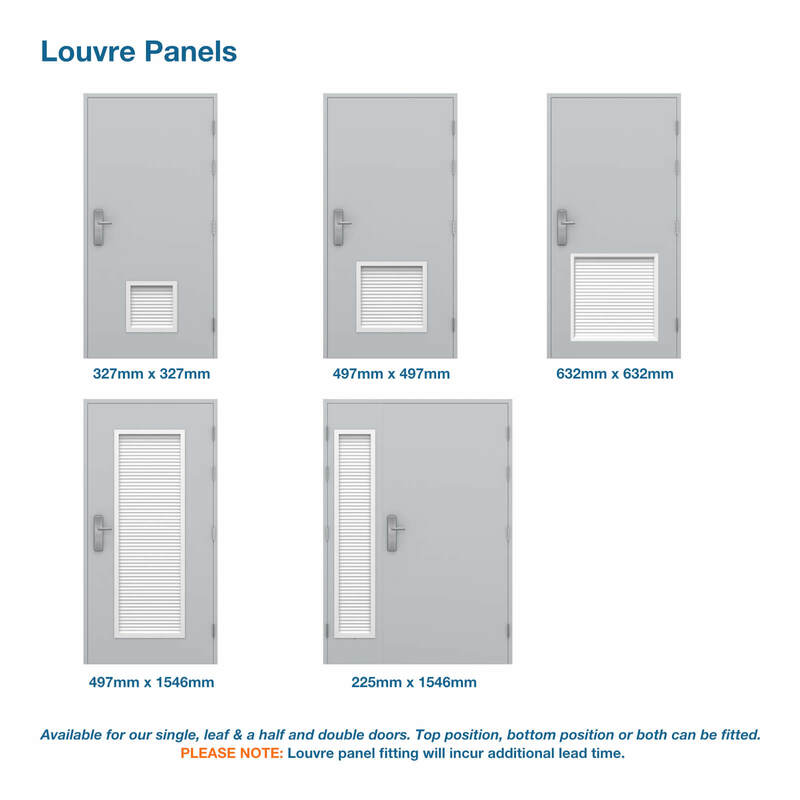 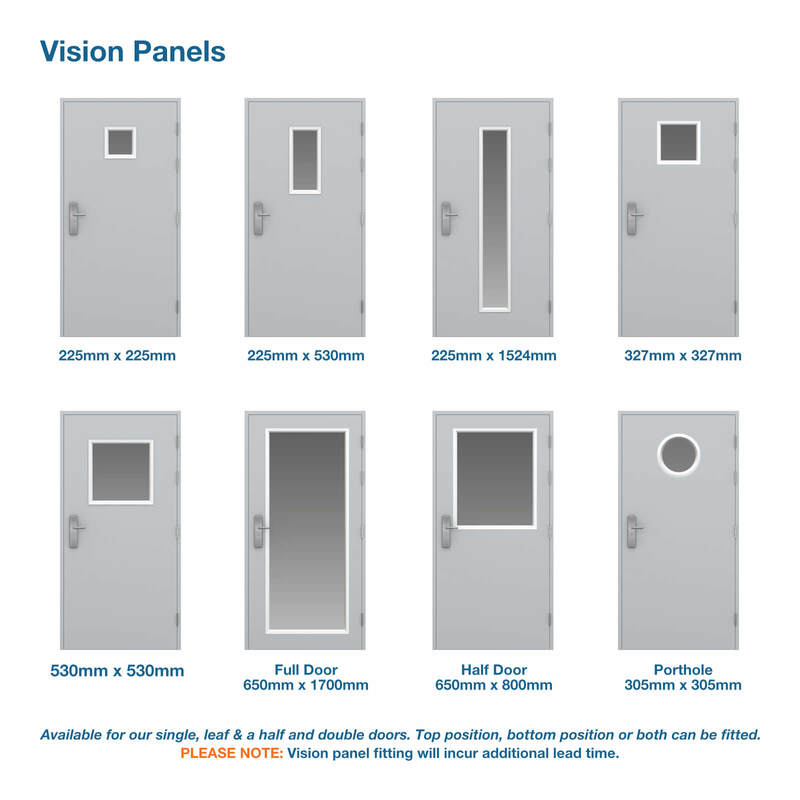 Our doors are carried in stock and are available for next day delivery via dedicated courier, ideal for last minute projects or to replace a damaged door quickly. 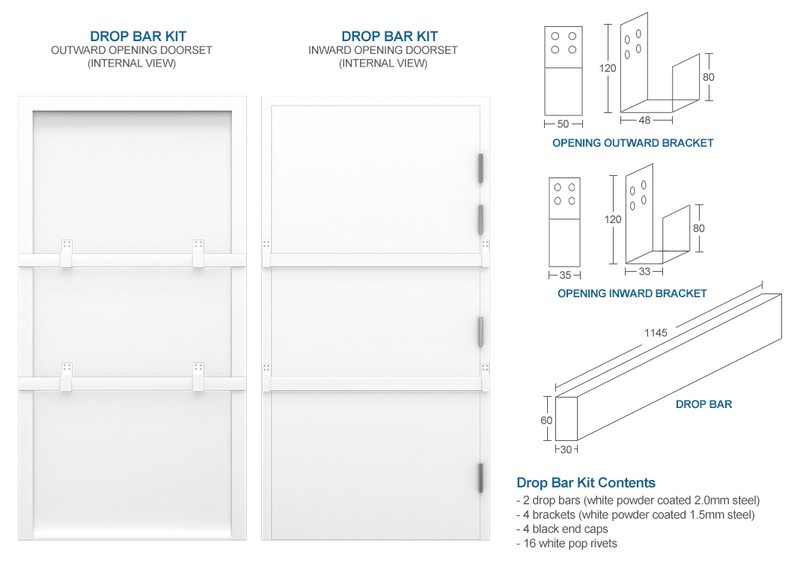 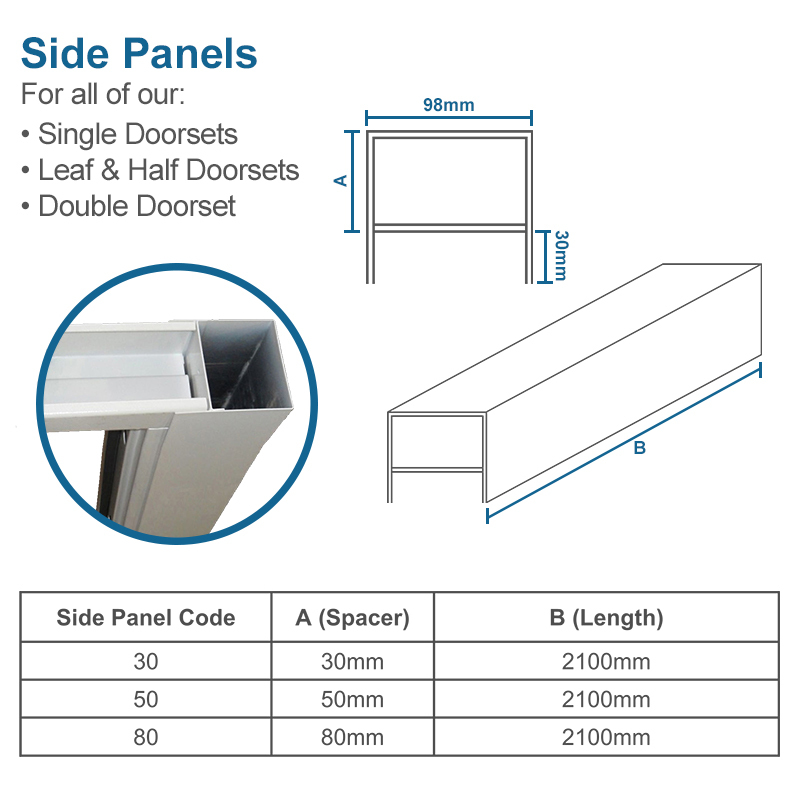 You can also add side and overhead panels, a drop bar or security trim kit as well as glazed or louvre panels.